ST. GEORGE – Is $35 million too much to pay for a printer’s manuscript used for the first printing of the Book of Mormon? The LDS church doesn’t think so. The Church of Jesus Christ of Latter-day Saints announced Wednesday evening that it had purchased the manuscript from the Community of Christ. While the LDS church did not release the amount paid for the manuscript in its Wednesday news release, the Community of Christ did. Members of the LDS church, or Mormons, consider the Book of Mormon to be “the keystone of their faith” and a part of the church’s canonized scripture alongside the Bible and the Doctrine and Covenants. So just what did the LDS church buy from the Community of Christ? 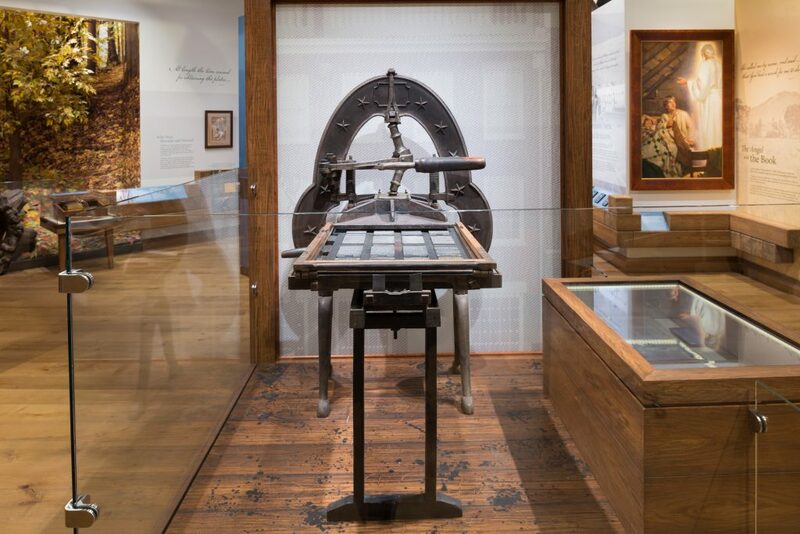 In other words, the printer’s copy provided the format and layout of how the pages in the first print run of the Book of Mormon would look once produced. The Community of Christ, formerly the Reorganized Church of Jesus Christ of Latter Day Saints, has possessed the printer’s manuscript since 1903 when it bought the document, along with other items, for $2,500. With less than 30 percent of the original dictated Book of Mormon manuscript surviving to present day, the printer’s manuscript is seen as the most complete copy of it in existence as it is only missing three lines of text, according to the Community of Christ. The Community of Christ’s Presiding Bishopric, which oversees the temporal needs of the church, has been working for several months with many possible buyers – the LDS church being the final purchaser of the manuscript with funds provided by anonymous donors. Snow expressed gratitude for the care taken of the manuscript by the Community of Christ for more than a century. He also offered appreciation to the donors who provided the means to acquire the document. 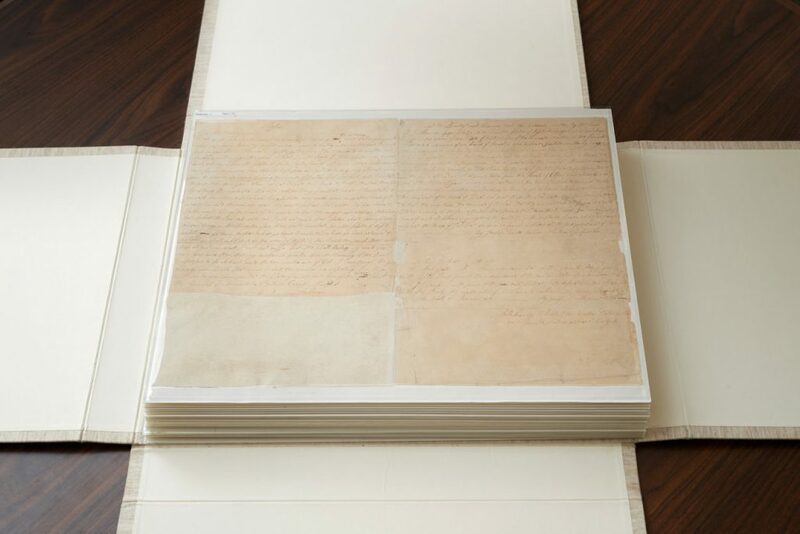 The Community of Christ and the LDS church have worked together to preserve the manuscript over the years. “We are pleased to transfer stewardship of this important document to those who will treasure it and continue to care for it for future generations.” the Community of Christ said on its Q-and-A page. The Community of Christ and LDS church have their beginnings in the religious movement originally founded by Joseph Smith Jr. in 1830. The founding came on the heels of the publication of the Book of Mormon, which both churches hold in high regard. The groups would go on to become their own respective institutions following the death of Smith in 1844. 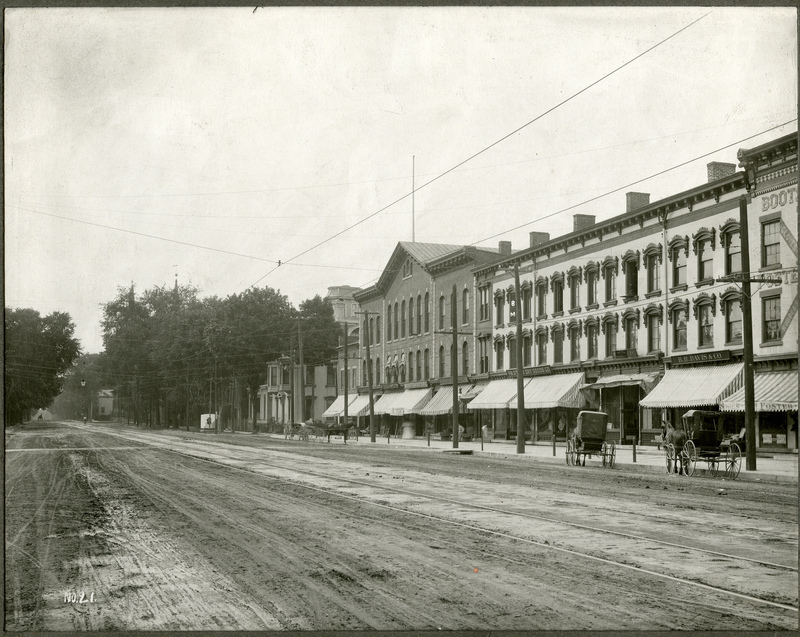 Today the LDS church is headquartered in Salt Lake City while the Community of Christ has its home in Independence, Missouri. Both churches believe the book to be a divinely inspired translation of an ancient record detailing the history of some of the inhabitants of ancient America who worshipped Jesus Christ and were visited by him following his resurrection. Historian John Hajicek, of mormonism.org, told The Salt Lake Tribune that the purchase of the manuscript by LDS church was like the U.S. government buying the Constitution. 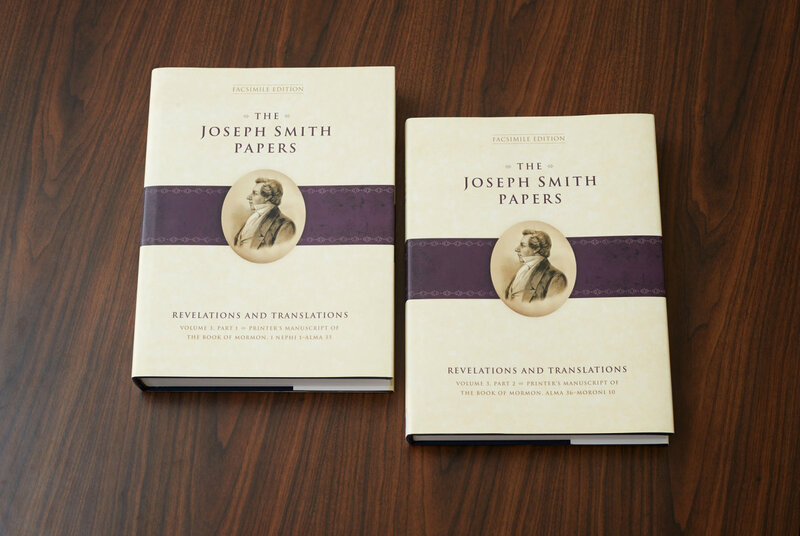 The entire printer’s manuscript was published in 2015 as part of the Joseph Smith Papers Project. It can be found in Volume Three of the Revelations and Translations series. Eventually, digital images of the entire manuscript will be posted online at josephsmithpapers.org. Salt Lake City, in the coming months. Hope it’s not a forgery. They already got burned once. It probably has incriminating info in it so they can lock it in a vault. As Allison Clark’s parents, and knowing her animosity toward all things LDS, we are not surprised at her quick jump to the wrong conclusion. Had she bothered to read the article, she might have noticed the words…”with funds provided by private donors”….”who provided the means to acquire the document.” No tithing funds were used for this wonderful acquisition of a priceless artifact. Those funds are, rather, being utilized constantly and consistently all over the world in humanitarian services to millions who are without water, food, shelter, doctors, and other basic needs. We – Allison’s parents – have a lovely home, more food than we need, and easy access to great doctors. We are grateful for the opportunity to share a little of what we have – 10% – with others who have so much less. We have no doubt that every penny we share is used for the purpose intended, which is the farthest thing from a “scam” one could imagine. Allison never suffered the lack of anything in her life due to our payment of tithing, as her family was not and is not “poor”. If she were not so entrenched in her prejudice, she would actually be able to see the blessings her family has enjoyed due to this act of faith. True, she might not ever receive an inheritance of money, which she so bitterly resents and blames on our paltry tithing offerings, but she knows she has had a great life surrounded and supported by a loving, close family. Our choices are not the same, but they are ours to make and deserve respect. I don’t know who Allison is but her parents are pretty much big jerks. This turned awkward. Allison Clark, whoever you are, I feel bad for you. And to the parents- I don’t think her life was that great- it may not have lacked material things but it definitely lacked spiritual things and I’m not seeing love either- so it probably lacked bonding and love too! Maybe this manuscript will finally unveil the mystery of why God decided to speak to Joseph Smith in grammatically-incorrect King James English from the late 1500’s. @dickdanger, with such a large chip on your shoulder, it’s curious you took time to read the article. Sadly, your information is a falsehood. get back to your quilting. sure, and you get back in your cell. Let’s be buddies, I’ll buy you a case of Mountain Dew. I hear it’s not a sin anymore. Chip on my shoulder? Is that how Mormons explain away facts? I’ve never been a Mormon, and have had nothing but very positive interactions with Mormons, besides the occasional encounter with a subculture I like to call the “Mormon Mafia” in Utah business dealings. But I’ve said it before and I’ll say it again now – nicest people I’ve ever met. Their religion, though, is more easily-debunked than Flat Earth theory. So if I occasionally cast (totally valid) aspersions on Mormonism, I’m not doing it because of some chip on my shoulder or because I don’t like Mormons. Just the opposite. So true. Science and history are obviously not allowed to be part of the Mormon fairy tale. This is what your 10% is being spent on. She’s mentioned in the manuscript. Bit suspicious since her parents are obviously still alive. God said there is only 1 true book, and that is the Bible. That there should be no other books added unto the Bible, period. The 10 percent Mormons pay or they don’t enter the temple? That sounds like taxes to me, and how did Jesus react when people were being taxed back then to enter the temple? Futhermore, temples were used for sacrifices before Jesus paid the ultimate sacrifice to save us all. Mormons with all their teachingsite take away from the fact that Jesus saves all, nothing else can or will. In my opinion Mormonism is what the bible states as a mega-church, they study more out of the BOM than they do the Bible. To state that the members need a secret handshake to enter the top kingdom is degrading to Jesus and in all honesty a Free-Mason ritual. I was Mormon and learned the truth when I took a history class in college, it quite easy to see all the secrets Mormonism has covered up- just take the Mountain Meadow Massacre for example. I have never been a Mormon, and never will be. So it’s easy for me to see all of the goofy and backwards teachings of Mormonism. It always intrigues me to see former LDS members take on the subject. The best way to cover up the truth is to get to the bottom of the pile of crap and then bury it. This manuscript will NEVER be seen again.